Formerly only available in the USA, Milk Makeup’s cult favourite products have now crossed The Pond and are exclusively available at Cult Beauty to those within the UK and Ireland. Never sacrificing their commitment to epic payoff and good-for-you ingredients, the brand are guaranteed to put a sparkle in – or rather, on – your eye with this sumptuously shimmering Eye Pigment. 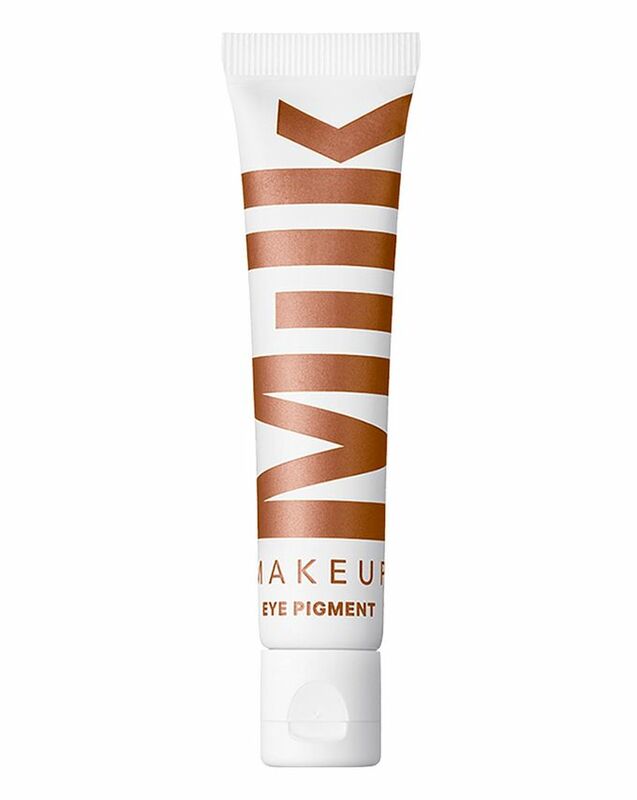 This creamy formula grants mesmer-eyes-ing payoff that won’t crease or smudge from sunrise to moonlight. Choose between 10 pearlescent shades, from champagne-hued ‘Hotel Lobby’ to royal purple ‘Rave’. For a look as bold as you are, gild your lids with these shimmer-packed vegan shadows from Milk Makeup. Loaded with pearlescent pigments, the creamy formula has a dazzling finish that is bound to draw all eyes. No watercolour washes over here – these flashy fellas are incredibly pigmented, gracing lids with vivid shades that won’t crease or rub off throughout the day and into the night. Their intense pigment combined with the creamy texture makes for a great multi-tasker; swipe them all over your lids, line your eyes with them – you can even pop them on your cheekbones for a unicorn-esque highlight. In equal parts subtle and bold, the pigments come in 10 paraben-free shades that can be customised to suit your desired look. Want something low-key? Opt for champagne-hued ‘Hotel Lobby’, bronzy ‘Gig’ or rosy ‘After Party’. For a more vibrant look, there’s deep purple ‘Rave’, sea green ‘Mermaid Parade’, electric blue ‘Sesh’, iridescent lavender ‘Jam Room’ and silvery blue ‘Rager’. Prefer a smouldering shadow? You’ll love deep brown ‘Silent Disco’ and charcoal ‘All Nighter’. Squeeze a small drop to the back of your hand, then apply to eyes with your fingertips. Alternatively, apply them with an angled brush to wear them as an eyeliner. 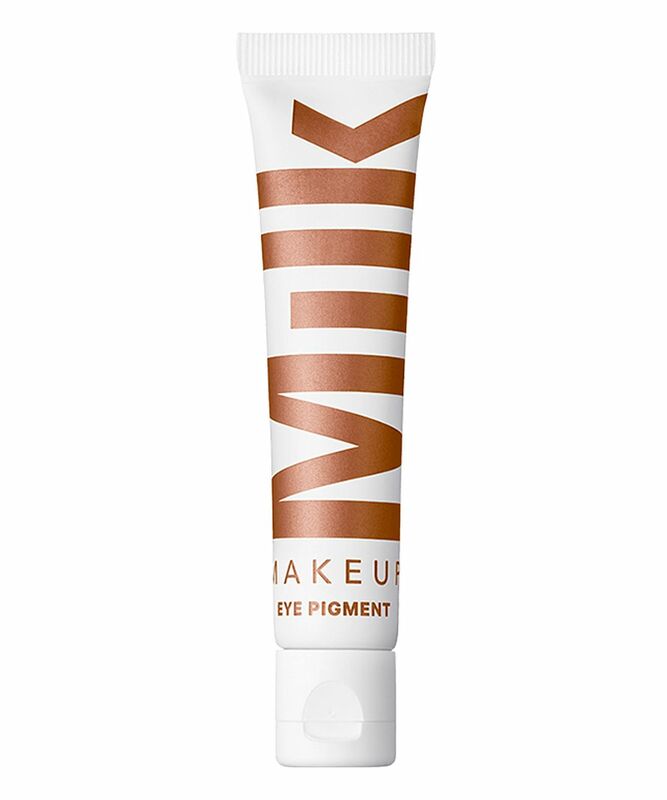 I purchased 2 of these Milk Makeup Eye Pigments and whilst they were pretty colours they did not last very long at all. I do have very watery eyes but heard good reviews on these and their staying power. Sadly they were wearing off my inner eye area within 30 mins. Won't be purchasing again. I would definitely recommend using you fingers to apply this, creates much better finish than using a brush. Really strong colour, long lasting and you only need a tiny amount, so worth the money as it will last. Only annoying thing is that it is hard to put something over it like eyeliner. I have this in Rave. The colour is amazing. You only need a tiny amount to get such a bold colour, so the tube will last ages. Dries quick and stays in place once on, with no smudging or transference. Gives a bold look with minimal effort... perfect for me as a mum of a young baby! Really nice consistency and super long lasting. The tube was quite small for the price but a little does go a long way. I found taking it off a little tougher than I thought it would be, and the shade Hotel Lobby is a lot more silvery than I would have liked. I would recommend them to anyone who likes super long lasting eye colours that don’t crease! WOW, where to start. -Epic pigment -Hurricane-standard stayability -A colour range to make even the most flamboyant peacocks jealous This can be used as a stay-all-day eyeliner, graphic block shadow, buffed smoky eye. It sits perfectly on top of primer, powder or just dabbed on bare skin (although I'd suggest a base as it makes this easier to take off at night). I find as I get older my eyes become a little more watery at the sides and lids more oily - ie eye-makeup-mageddon - and the limpet-like qualities of this pigment is legendary. No mirror checking needed. I have not received so many compliments on my eye makeup in years! Bought the shade silent disco and its great! A perfect smokey eye colour without going for black, makes my blue eyes look bright and stays on all day (and night). This is much easier to apply with a brush and not fingers due to its staying power, once it dries and it dries quickly it is on for good. Already bought two more shades. Absolutely in love with this eyeshadow!!!! I have a very greasy eyelids and it’s really difficult for me to use eyeshadow without primer. Well not with those awesome eyeshadow!!! I absolutely love them. So easy to use and last all day with no creasing. Love love love! All Nighter made me look like I had a black eye. I bought the eye pigments in All Nighter and Hotel Lobby. I have quite small hooded eyes and found this product hard to apply as too much product comes out of the tube so it is quite wasteful. All Nighter just made me look like I had a black eye, but Hotel Lobby is quite good for a cut crease. I don't think either are very good to wear alone but can compliment or finish a more dramatic eye look if applied over other products. Excellent colour and really doesn’t budge! Only need a small amount too so though initially it seems expensive it’s going to last a long time. You have to be careful with this as a lot of product comes out of the tube and then you have an excessive amount to apply. The colour is great and the product really lasts. Admittedly the price is a little steep as the tube is tiny! But like the other reviews say a little goes a long way, I bought gig and hotel lobby and they’re both really good products, very pigmented, very shimmery without being too glittery/chunky and long lasting. I’m definitely buying more shades! I’m not one to review makeup as a rule as it’s so personal, but this is something I felt worth a mention. I thought 20 quid was a bit pricey for a little tube but seriously you need the tiniest amount. It goes a long way. Will last an age. Stays put all day. Over 12 hrs and no creasing. I’d agree with a review I read ref oily eyelids. Excellent. Will definitely get more colours. The most beautiful, true champagne liquid/cream eye-shadow that I've been looking for No rosiness/ pink in my opinion and super flattering on my blue eyes. So easy to work with - the only thing is being careful even with a small amount as I don't think it looks flattering too high up towards the crease - I think this is because it's so pigmented. Next time I'm going to use an even smaller amount and try and produce a sheer wash all over the lid - no complaints, will last ages!